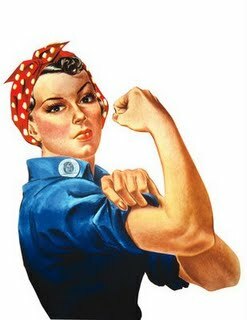 Note: Rosie is posting a day early this week as tomorrow is Thanksgiving in the US and she wants to ensure that everyone has a chance to read all about Susan's Riveter. This week's post is by Susan of West of Mars and Win a Book! fame. I only met Susan very recently, when I asked her to post a giveaway on her blog. She did so, very promptly, and I got so many more contest entries because of it! Susan is also a writer and does a lot of work on her blog promoting author events around blogosphere and trying to ensure people have access to finding the Next Great Read. 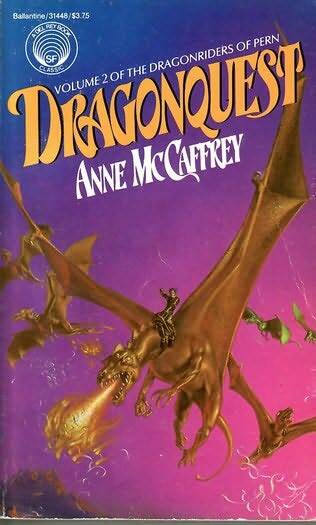 Anne McCaffrey's original Dragonriders of Pern series: Dragonflight, Dragonquest, and The White Dragon. And then a bunch after that, too, but more as a secondary character. Love her. I was young when I discovered these books (twelve, I think) and her strength of character helped shape my idea of who I want to be if I ever grow up. She's tough. No-nonsense. A survivor. Fierce. In-your-face. She hides her fears behind bravado. Uhh, nope. I don't know any celebrities. Sorry. I don't know, exactly. Her toughness is definitely appealing. She's also a natural, easy leader. As someone who has a hard time NOT being a leader, that works for me. Admire: her guts and, at times, foolhardy ways. And abiilty to land on her feet. Despise: the fact that she's not real. I need more people like her in my life. Absolutely. I have for years, in fact. I think Anne McCafferey's dragon series (now either co-written or entirely written with/by her son Todd) are a great introduction to the world of fantasy. A quote, no. But there's a moment where she sits for the first time in the chair that was used by one of the great women in history and she's in awe, thinking that Moreta had sat there, too. That moment, and one early on when Lessa tried to hide her identity from the dragonriders, are the two scenes that stand out most in my memory. I won't tell you how many years it's been since I first read these books, but it's a lot. Yet those images remain. I have actually never tried reading anything by this author but this post definitely made me want to read the series. Happy Thanksgiving Aarti, to you, your loved ones & Rosie. 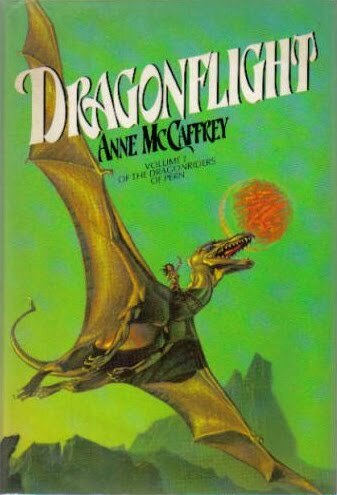 I haven't thought of the Dragon books in years, I used to love them. Great choice, Susan! I've read a novella of hers once and loved the potential I saw in it. Thanks for sharing about this series, I will have to go check it out! I think I was about the same age when I first read the Dragonrider series...I loved it! 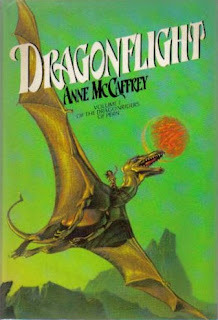 I've never read the McCaffrey books either, but too many people whose opinion I respect are saying they are a must read! And I'm so surprised that they even have helped shape little girls' ideas of who they want to be. I have to get these at the next library sale! I won't tell you how many years it's been since I first read these books, but it's a lot. Yet those images remain. Exactly, and this is the key point, I think – those fond memories of those early books will always remain, (and not only because I first read them during the golden age of science fiction [13-14, in case anyone’s not aware of the truism...:-)]). And, of course, a happy Thanksgiving to all! My husband and daughter love these books and I think that they would both agree with your choice of riveting lead woman! I have to admit I have never heard of this author - *bites lip* but I am very intrigued. Maybe I have the excuse of being a Brit? Great Riveter, Susan. Your Lessa, has certainly got me wondering what I am missing. She sounds wonderful.